The Winkler Knives II Belt Knife with hand forged damascus blade and premium maple handle laser engraved in a tribal pattern offers both amazing looks and rugged reliability. 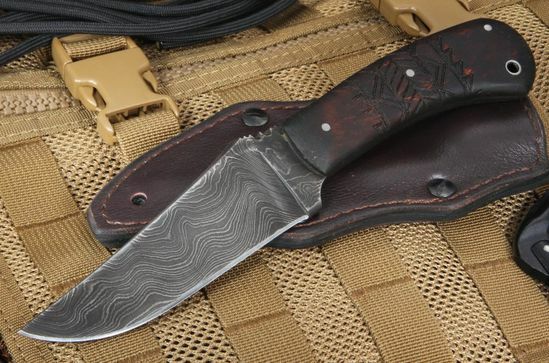 The damascus blade is forged by Brad Vice with a bold pattern that really stands out. One of the advantages of a forged carbon steel damascus blade is its ability to throw a spark if needed for fire starting. The belt knife has a full tapered tang design that provides both strength and balance. File work on the thumb rest of the blade spine looks great and offers added traction. Maple handle has a tribal pattern that adds class and traction. Lanyard hole in the handle makes adding a lanyard a breeze. Sheath is a brown leather that has a black kydex lining for strength and security. 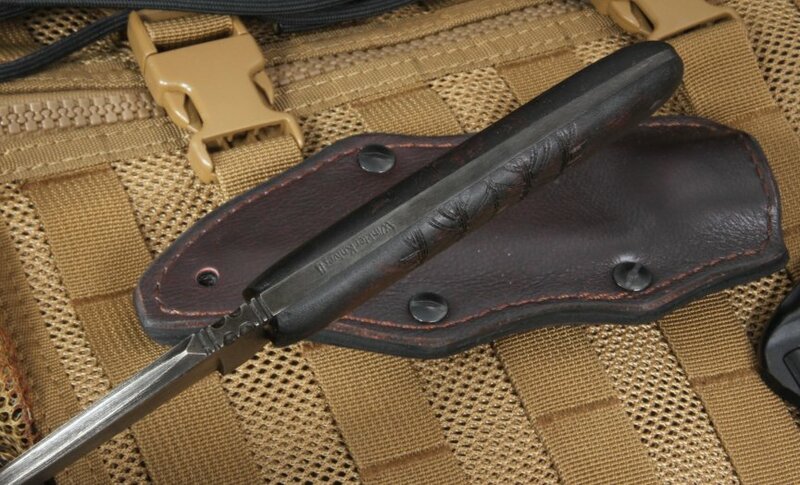 Sheath comes with multiple carry options so this knife can be carried various ways. Awesome knife. Gift for son-in-law. I'm getting one for myself, these are really well constructed. KnifeArt delivered promptly. Very satisfied.